To answer your question, you have a Jet 200. 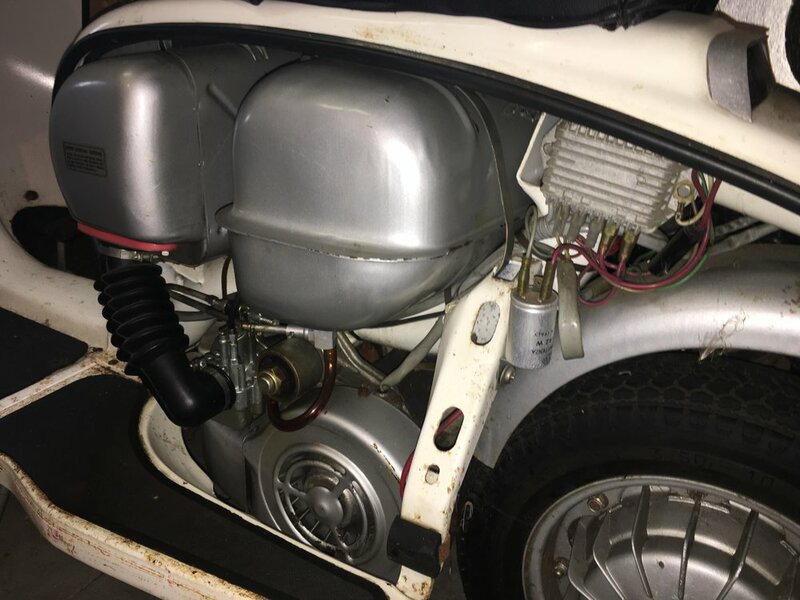 It is a Lambretta built under license in Spain. And yes, a location would hep with valuation. It really depends on where you are located even within the US. It’s only worth what someone is willing g to pay for it and that really varies from one place to another within the US and also in Europe. I have a few questions. Midwest, do you have any papers with it? title? sometimes those where perks when you bought a Chrysler automobile, they would be given free during car purchase. that would really depend on your location as well. Not sure of your name. The Spanish made Lambrettas do not have as high a value as the Italian made ones. I got mine (pictured on LCUSA web site right before yours) with zero miles brand new for $1,600.00 including delivery. I got it from the storage facility of an out of business motorcycle shop. I will give you $2,500.00 cash for the scooter right now. I will also make arrangements to have it picked up and shipped to me from your location. I have family in Iowa. how much from somewhere in the mid west to Santa Barbara, CA? I have the original title in hand. 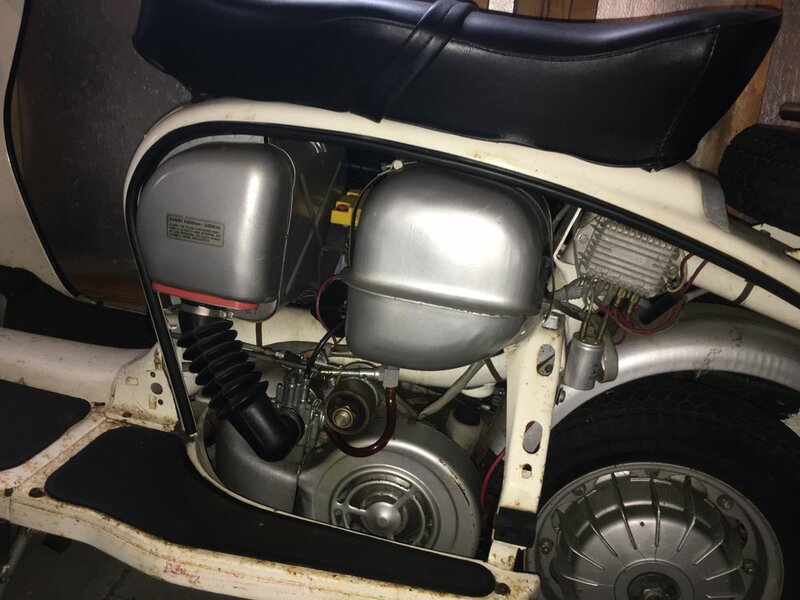 The scooter is for sale, please message me if you have an offer as I have received many. 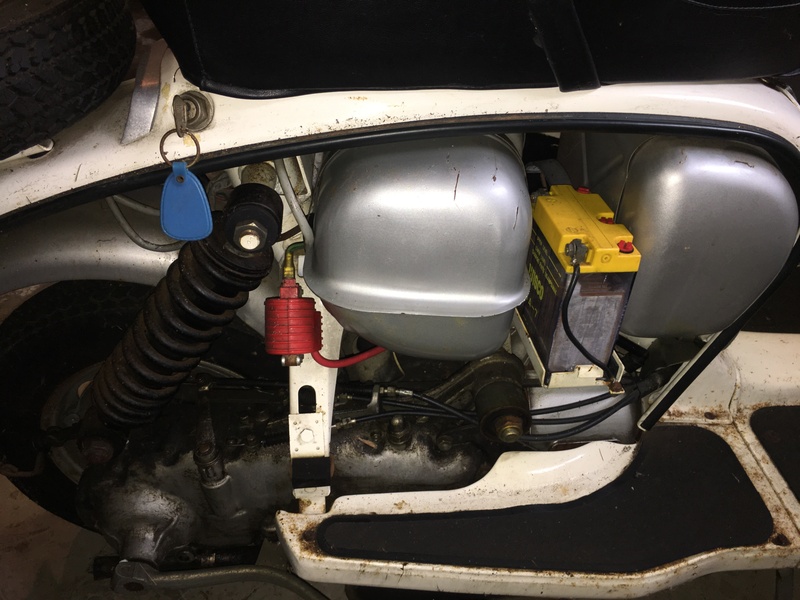 The scooter is located in northern Illinois and hasn’t left the garage since 1981. 256 original miles. Serious inquires only please. Thank you. 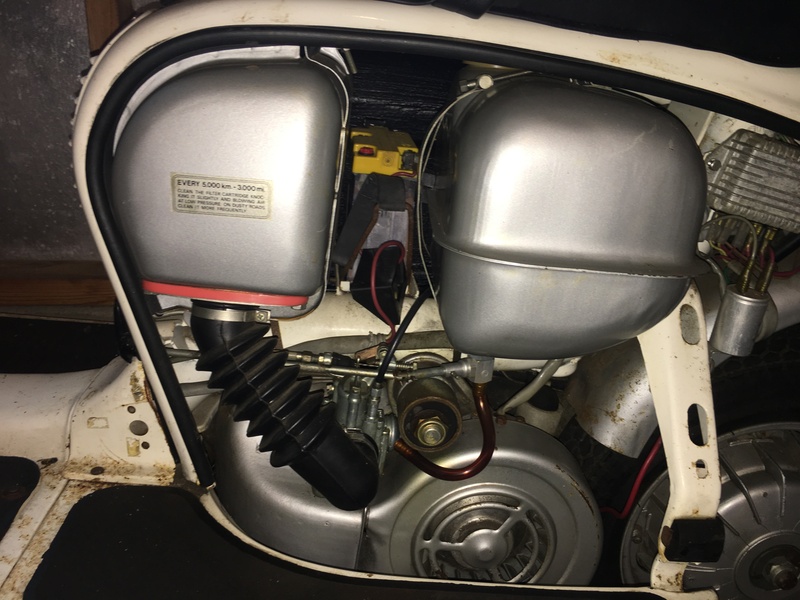 I added some pictures of the engine just Incase anyone was interested.